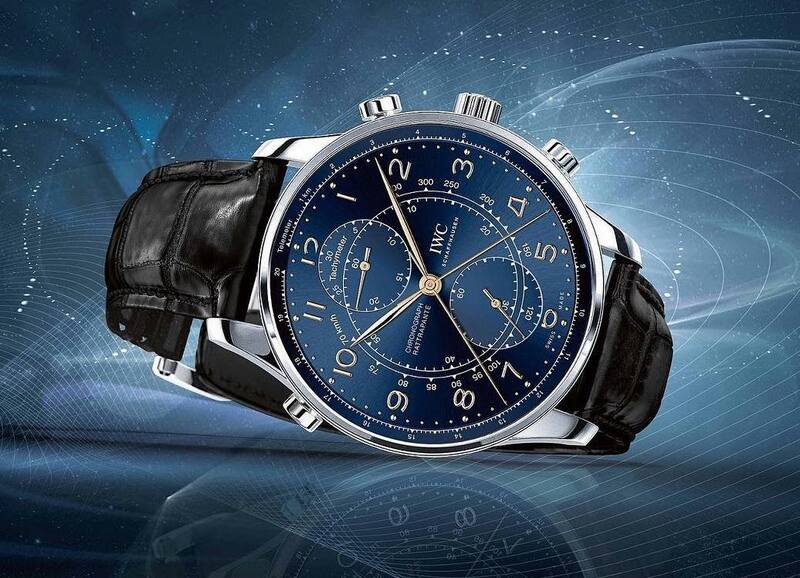 TimeZone : IWC » N E W M o d e l - IWC Portugieser Chronograph Rattrapante Edition "Boutique Milano"
The case, in stainless steel, measures 41mm x 12.3mm. It has a convex AR-coated sapphire crystal and it is water resistant to 30 meters. Engraved caseback featuring the Sforza family crest, symbol of Milan. 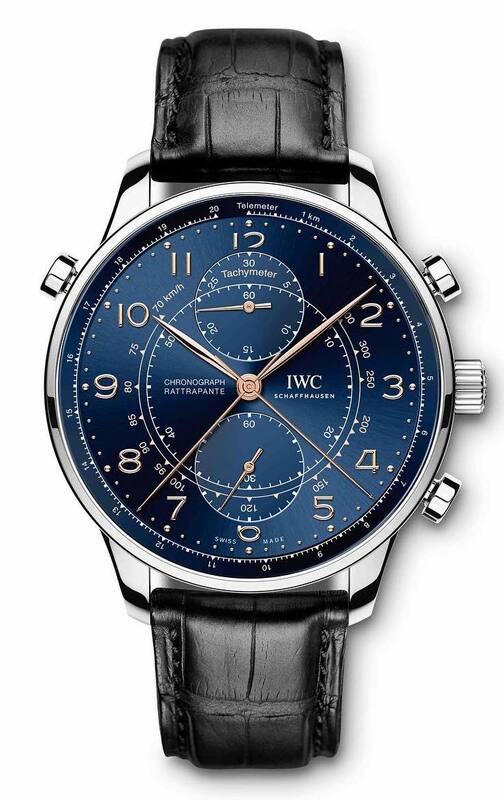 Movement is the Swiss manual-wind IWC in-house caliber 76240 with 31 jewels, 28,800 vph and a power reserve of 44 hours. 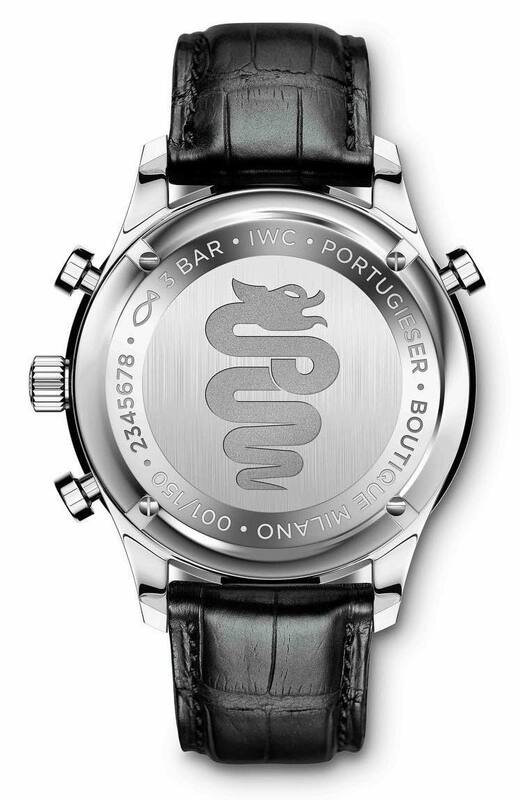 It features Cotes de Geneve and perlage finishing. Split-seconds hand for intermediate timing. The blue dial has gold hands. Telemeter scale on the flange and a tachymeter scale on the inner circle of the dial. It comes on a black alligator leather strap with a steel folding clasp. That is oh so sweet!